"The company received 9 e-mails from Mr. [Jonathan] Ive (45 overall) from that period. These are absolutely critical witnesses —it is inconceivable that Mr. Jobs, CEO of Apple during a portion of the relevant time period and inventor of the '949, '678, D'087, D'677, D'270, D'889, D'757 and D'678 patents, actually had so few e-mails on issues in this case and none between August 2010 and April 2011." 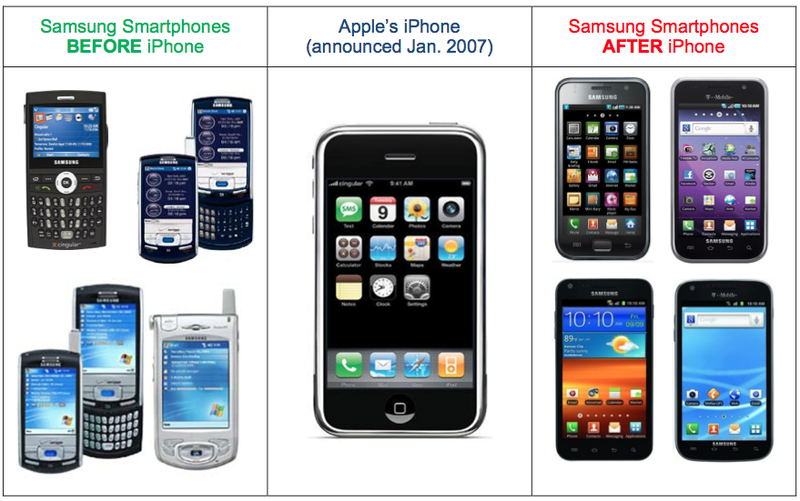 "Consumers want rectangles and were fighting over whether you can deliver a product in the shape of a rectangle," Packingham insisted, adding that Samsung also has design patents of its own that are "not as simple as the rectangle." iPad will keep eating away PC market, despite Windows 8 "excitement"
Judge says Samsung's accusations that Apple doctored evidence "not credible"